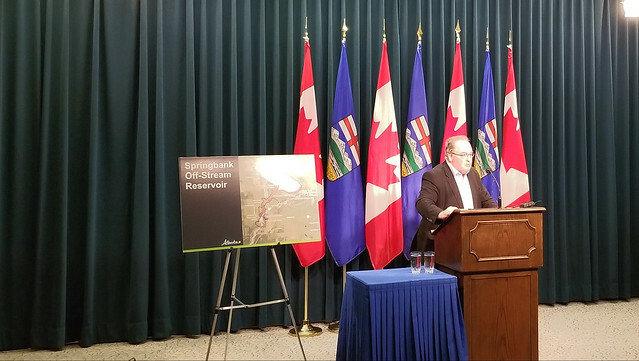 Minister Mason announces that the government has acquired land required for the Springbank Off-Stream Reservoir. 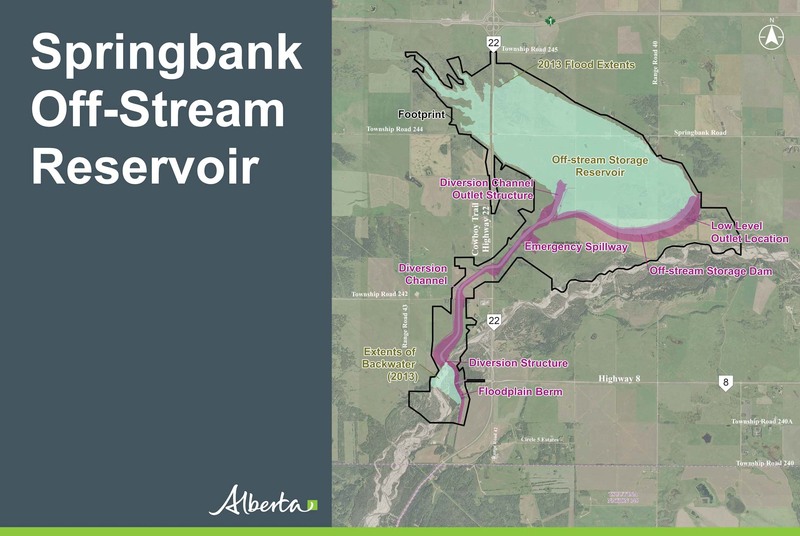 The Government of Alberta has reached an agreement with the Robinson family in Springbank and has now acquired roughly 20 per cent of the land required to build the reservoir project. The footprint of SR1 is about 1,566 hectares (3,870 acres). SR1 would be capable of containing 70.2 million cubic metres of flood water. During a flood, the confluence of the Elbow and Bow rivers creates a backflow effect which threatens downtown Calgary.